This section of the website lists BC and Canadian resources that have a Settlement Workers in Schools (SWIS) focus. AMSSA has been contracted by Citizenship and Immigration Canada (CIC) to organize a meeting with all of the Settlement Workers in Schools (SWIS) that have a Contribution Agreement with CIC. 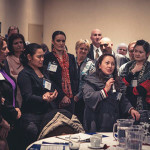 The meeting was held on February 13, 2015 at the Radisson Hotel Vancouver Airport in Richmond, BC. Canada admits a growing number of international students each year. Within the Western Region, most of them settle in British Columbia. This Info Sheet looks at statistics and trends on international students for both Canada and BC and outlines proposed changes to the international student program. In addition it explores the challenges many international students face in Canada. This section of the website provides resources to assist with the Settlement needs of immigrant and refugee children and youth in the Province of BC. This webinar provided a practical overview of curriculum and curriculum approaches, the planning process and items to consider when developing a curriculum framework for settlement services delivery. This webinar provided a practical approach to understanding the power of mentoring relationships, offered a “real life” perspective on mentoring and shared key learning’s on how to design, implement and oversee a successful mentorship program. This webinar highlighted the role that social media plays as an important, cost-effective, and efficient tool in promoting and marketing settlement services as well as a maximizing community engagement and creating collaborative partnerships. The Burnout to Balance webinar provided participants with an overview of the unique occupational hazards of high stress, high care work including burnout, vicarious trauma and compassion fatigue. Individual self-care strategies for emotional, physical, psychological and spiritual well-being will be explored, while considering what it takes to balance caring for others, while also caring for the self. This edition of the Cultures West magazine focuses on the topic of newcomer children and youth providing a diversity of features, stories and articles on the subject. Vancouver Foundation, in partnership with B.C.’s Representative for Children and Youth, has created the 2013 Fresh Voices Report, offering insights drawn from a series of community dialogues and conversations between immigrant and refugee youth. This factsheet published by the BC Multiculturalism and Immigration Branch shares demographic information on immigrant youth arriving in BC between 2002 and 2006. This website provides information and resources on using the media arts to support youth-led community development, encourage peer-based expression and education and promote social change. The BC Council for Families website provides resources, education and training to strengthen family relationships. An alternative education program helping Vancouver’s at-risk youth work through their emotional issues and addictions, and to develop confidence, teamwork, and leadership skills. This website provides brochures to assist parents with some general questions they may have about BC schools. The website provides brochures on the following topics: School, Parenting – How to help your child succeed at school, Study and Homework, Grades and Learning. 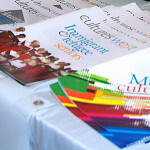 The brochures are available in: English; Arabic; Chinese; Filipino; French; Hindi; Korean; Farsi; Persian; Punjabi; Russian; Spanish; and Vietnamese. The Welcome BC website provides multilingual resources and information on housing, education, transportation, banking, employment, health care, citizenship and much more. The information is also available in Arabic, Farsi, French, Hindi, Japanese, Korean, Portuguese, Punjabi, Russian, Simplified Chinese, Spanish, Traditional Chinese and Vietnamese. Education Planner is an educational planning resource that is available to the public free of charge. Its primary purpose is to provide clear, reliable and detailed information about post-secondary programs available in BC. Using Education Planner can help learners make well-informed decisions about their education and career options. Unlearn Racism is an e-learning website that challenges the participant to look at his or her own biases and questions the one-sided narrative that we are presented with in society. This referral form is a template being shared by the Helping Families in Need Society. This website provides information and resources for educators to be able to serve the approximately 553,000 public school students, 81,000 independent school students, and over 2,200 home-schooled children enrolled each school year in BC. This government website provides information and resources to ensure that services for children are offered in an inclusive, culturally respectful, responsive and accessible manner. This website provides resources to ensure that health care services are available for all individuals living in British Columbia. A clickable provincial map with links to school district web sites can be accessed here. This website provides a link to reference maps that show the location of geographic areas of school districts in BC. This website provides information on a wide range of post-secondary education options available in BC. This website provides an array of resources for educators working in the school system. This Guide has been developed to assist teachers and other school personnel in welcoming and supporting students, and families who have come from a refugee background. This website provides information on what schooling options exist for the children of immigrants in BC. This online tool will assist in finding your school’s contact person if you would like to enroll your child. A guide for parents of elementary school students and other school personnel in dealing with bullying in an elementary school context. This guide is also available in French, Korean, Punjabi, Simplified Chinese and Traditional Chinese. This guide is useful for individuals associated with the public school system who wish to understand parents’ perspectives on harassment and intimidation, and engage parents’ help in raising awareness and promoting effective awareness, prevention, intervention, and protection programs. This guide is also available in French, Korean, Punjabi, Simplified Chinese and Traditional Chinese. This resource promotes an approach in which all members of the school community contribute to the development of a school-wide bullying prevention plan. This guide contains resources and training for teachers, school administrators, and support staff. The guide outlines steps parents can take to protect children who use the Internet. This guide is also available in Arabic, Chinese Simplified, Chinese Traditional, Filipino, French, Hindi, Japanese, Korean, Persian, Punjabi, Russian, Spanish and Vietnamese. This manual is designed to support educators as they strive to help students with learning and behavioral difficulties succeed in the classroom. The introduction features information on in-class intervention, referrals and communication with parents. This positive mental health resource for schools has lots of connections to safety and school connectedness as well as positive school climates and will be helpful in better understanding mental health needs of kids. The Canadian Red Cross has developed a bullying and peer harassment prevention program to help schools and organizations respond to bullying behaviour. The program helps youth and educators understand the issues, their rights and responsibilities. This factsheet provides a list of youth and children focused mental health resources. The website explains the various different educational opportunities that exist in BC. EQA is a quality assurance designation that identifies BC public and private post-secondary institutions that have met or exceeded provincial government recognized quality assurance standards and offer consumer protection. This brochure lists the services and organizations offering SWIS services in Ontario. This handout from a training session provides resources and tips and how to develop an individual’s group facilitation skills. This handout is from a training session provides resources and tips on client-centred service delivery. This guide outlines how elementary schools in Ontario are structured and the resources available to newcomer children. This guide outlines how secondary schools in Ontario are structured; the resources available to newcomer youth and advice on helping your children succeed as they adjust to school in a new country. This manual provides an overview of the roles and responsibilities of the SWIS Steering Committee. This manual provides an overview of best practices for the settlement workers in schools program. This evaluation report highlights the learning’s from the Newcomer Orientation Week (NOW) which took place in 2008. The purpose of the School-Based Settlement Work Tools Inventory project was to collect samples of the tools that are used by Service Provider Organizations (SPOs) to carry on school-based settlement initiatives (intake forms, questionnaires, pamphlets and other communication tools) and to make recommendations about tools that should be developed to help SPOs implement and carry on SWIS type initiatives. This guide showcases a curated variety of resources and materials that have been developed that engage and empower newcomer youth. The report of a participatory research project exploring how the unique trajectories and social locations of precarious immigration status migrant youth intersect with access and involvement in Ontario high schools. The World Education Service has published an explanation of the Syrian education system which provides useful information for those supporting Syrians into education or employment in Canada. This manual assists parents and teenagers to recognize the cross-cultural issues of teenage development. It educates about how and why things happen, and how to work through the process of teen development together. The SmartSaver website — an informational site on Registered Education Savings Plans — is available in 14 languages. Online educational games for children and youth that focus on Canadian history and multiculturalism, plus a section for teachers with related lesson plan materials.